Define is an Abaya business that encourages and promotes women to define their own style and beauty. Our slogan is: What makes you different, makes you beautiful. We strongly suggest you get your exact measurements before placing an order. Please use the the below guide to measure yourself. Please note that some boutiques may have different measurement requirment, which will be stated in the product description. 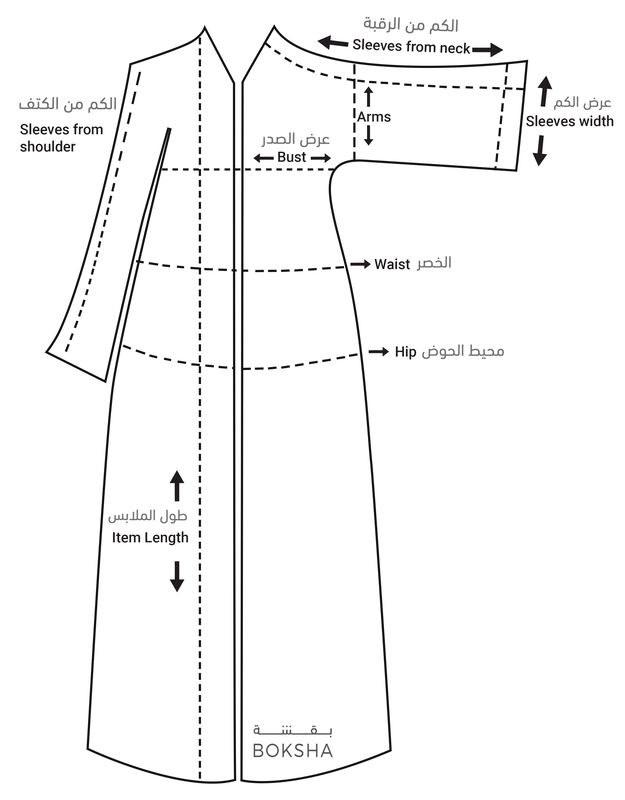 Make sure you have a measuring tape around to provide your exact measurements to enjoy the best fit! Modal is a luxuriously soft botanic silk fabric made out of European beechwood. Because of modal's botanic origin. it is particularly eco-friendly and its fineness is comparable to that of natural silk.